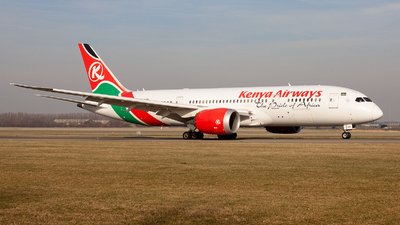 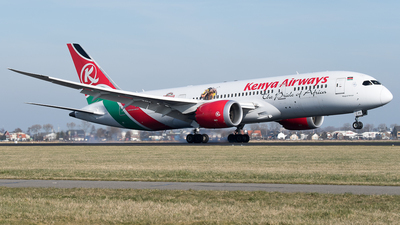 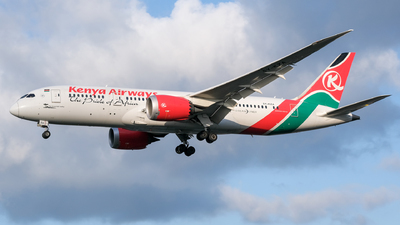 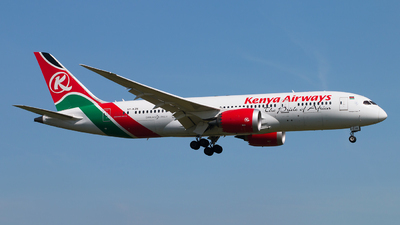 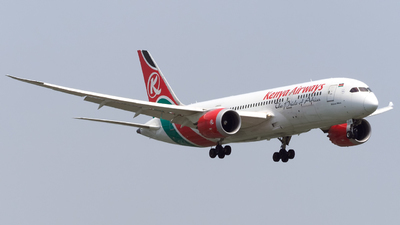 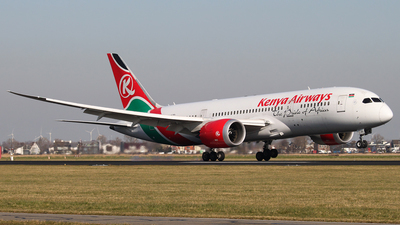 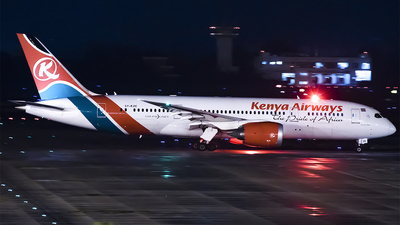 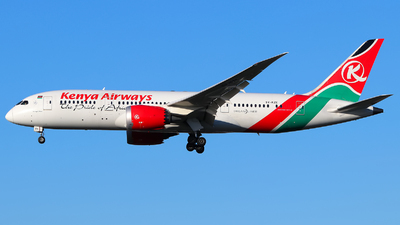 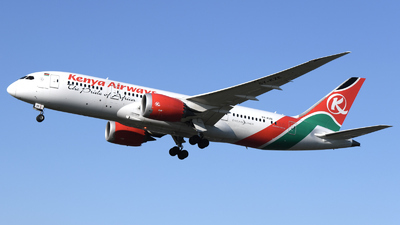 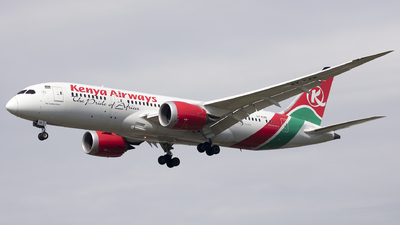 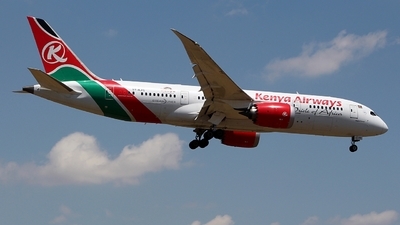 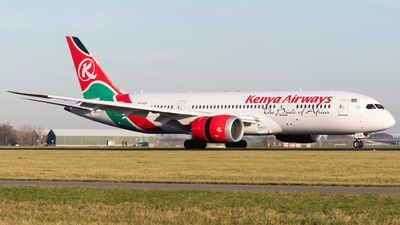 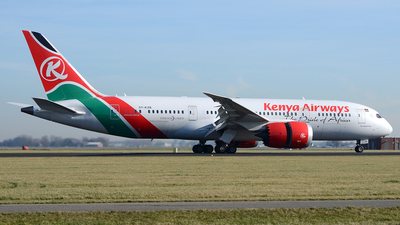 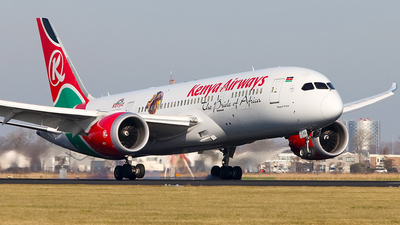 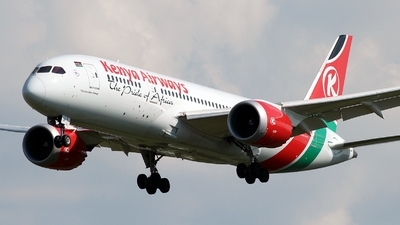 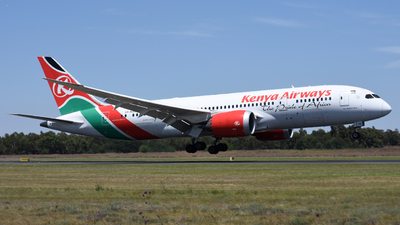 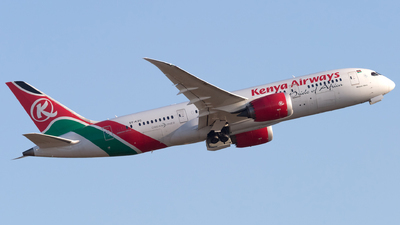 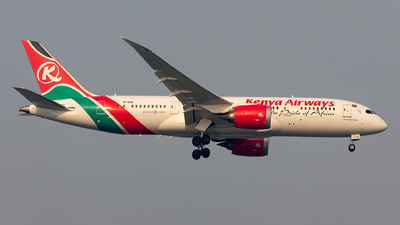 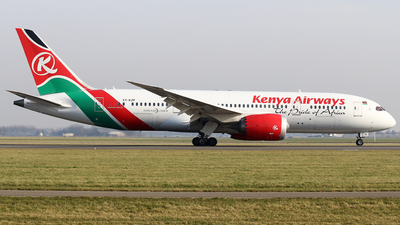 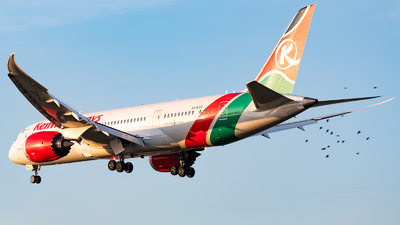 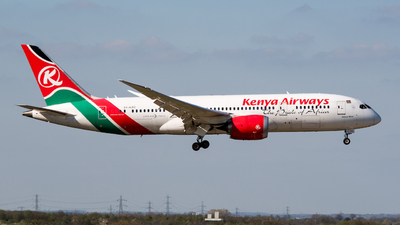 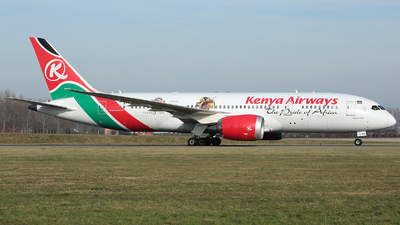 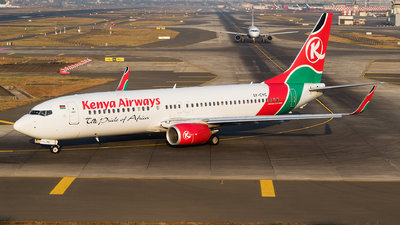 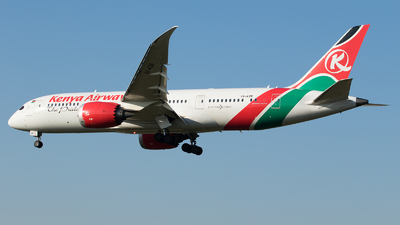 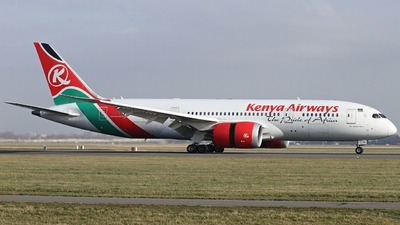 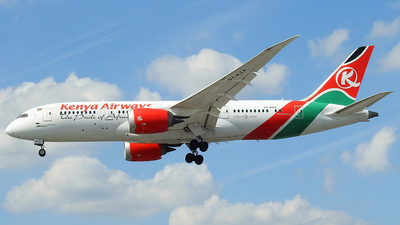 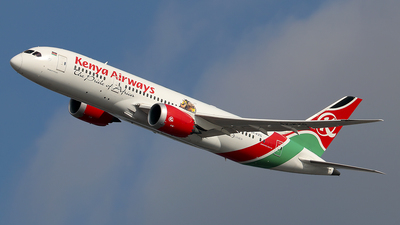 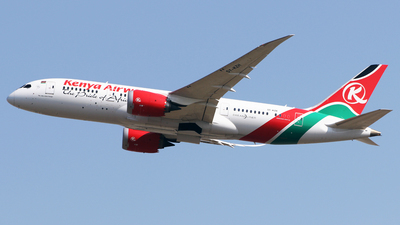 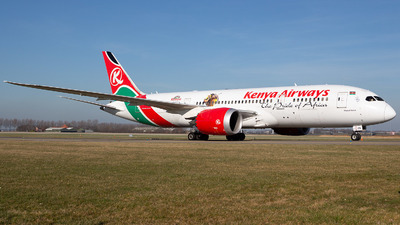 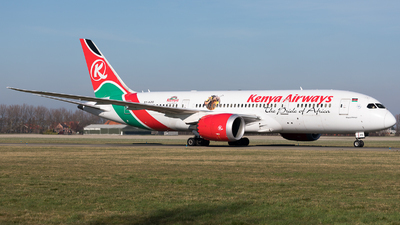 Note: Kenyan Dreamliner commences a "go around" in front of the landing spectators at Myrtle Avenue Park as the preceding aircraft had not cleared runway 027L. 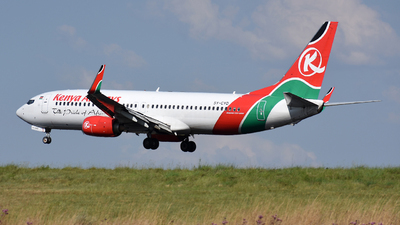 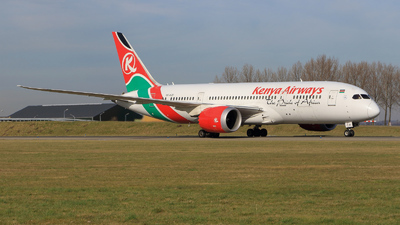 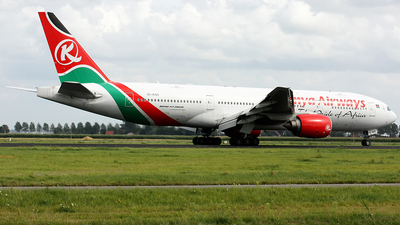 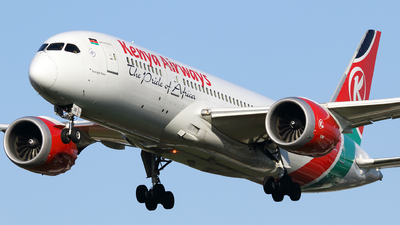 Note: Kenya Airways flight KQ116 from Nairobi during landing at runway 18R (Polderbaan). 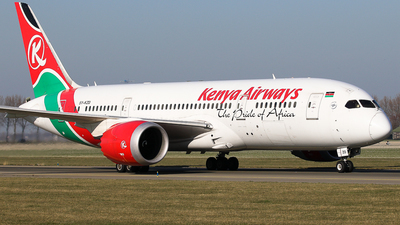 Note: Reversing at 18R after arrival. 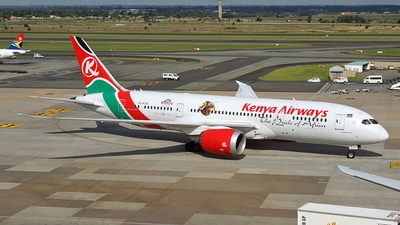 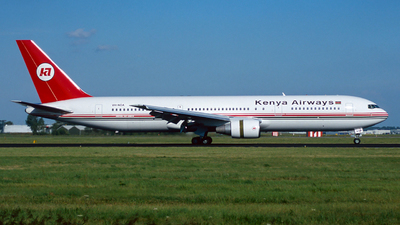 Note: Back in the KQ fleet after a few years flying with Oman Air as A4O-SY. 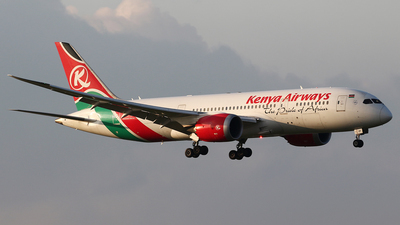 Note: KQ100 on route NBO to LHR, crossing the Gulf of Corinth at 39000ft.. 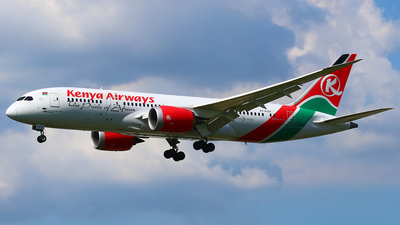 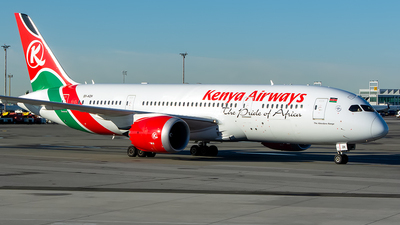 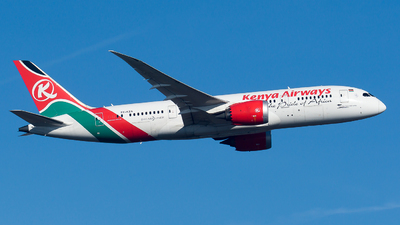 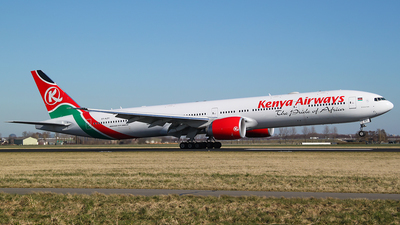 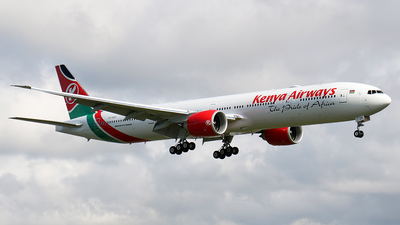 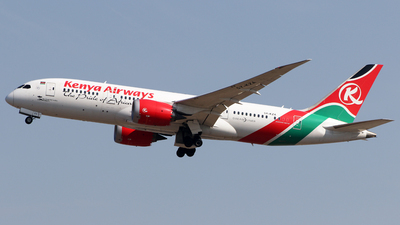 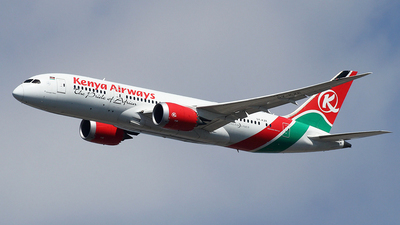 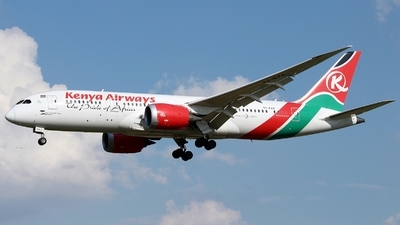 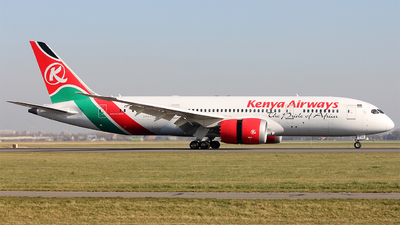 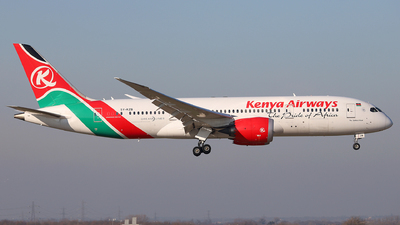 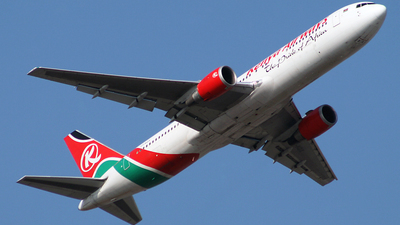 Note: Kenya Airways retired its complete Boeing 777-fleet in 2015. 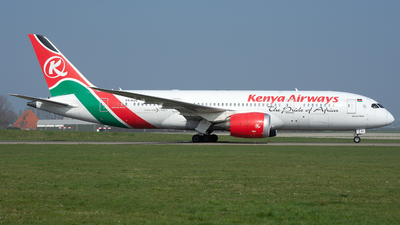 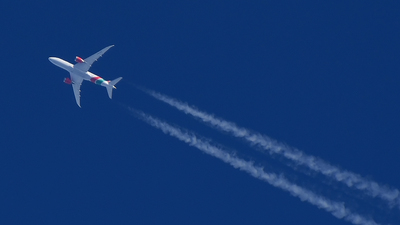 The 777-300ERs were only a few years old and the daily flight to Amsterdam is now flown by the Boeing 787-8 Dreamliner.